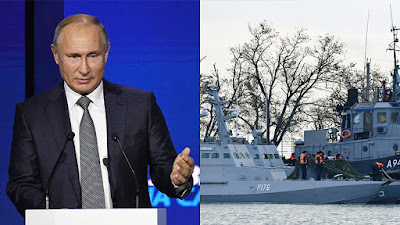 The remarks were the first made by the Russian leader since the confrontation in the Kerch Strait, a narrow passageway between the Black Sea and the Azov Sea, where a strategic bridge connecting Crimea with mainland Russia is located. “The authorities in Kiev are selling anti-Russian sentiment with quite a success today. They have nothing else to do,” Putin said during a business forum in Moscow. If they demand babies for breakfast, they would probably be served babies. This is such a shortsighted policy and it cannot have a good outcome. It makes the Ukrainian leadership complacent, gives them no incentive to do normal political work in their country or pursue a normal economic policy. 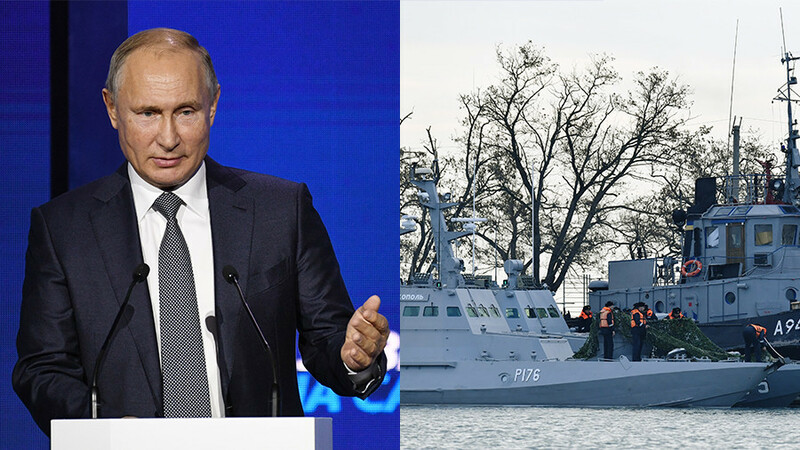 Putin said the incident, which ended in Russia’s seizure of three Ukrainian ships and Kiev imposing a partial martial law in the country, was a “dirty game” by Poroshenko, who needs to suppress his political opponents ahead of the March presidential election. He assured that the Ukrainian side was responsible for the escalation of tensions, since the incident was a deliberate and planned provocation by the Ukrainian Navy. The Russian leader also defended the border guards, who stopped the Ukrainian ships from passing through the Kerch Strait, saying it was their duty as sworn service members to do so and that if they failed they could face a tribunal for defying an order.